Railpictures.ca - Doug Lawson Photo: Pumping air at Exeter, BC as we continue south to Potter siding on this “meet & greet” turn. 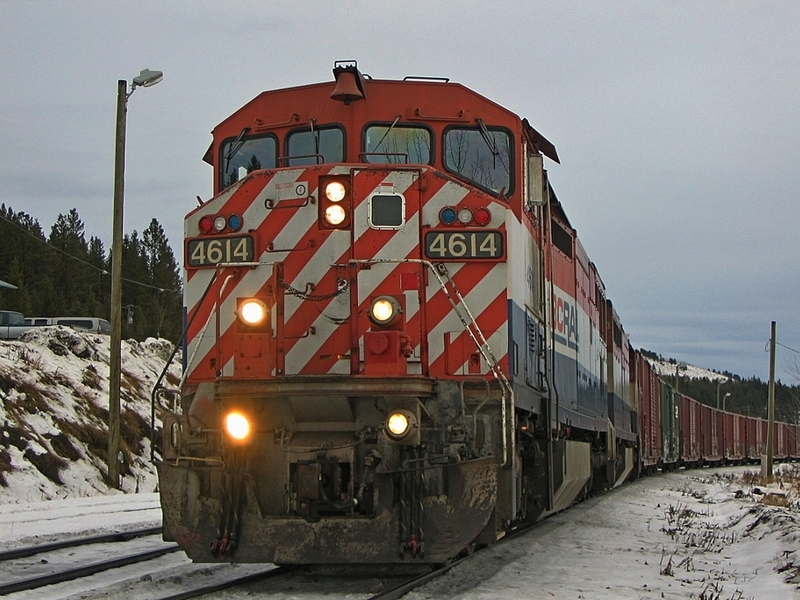 We will trade trains with a Lillooet crew at Potter and then run north back to our home terminal Williams Lake. About a 144 mile round trip. | Railpictures.ca – Canadian Railway Photography – photographie ferroviaire Canadienne. Caption: Pumping air at Exeter, BC as we continue south to Potter siding on this "meet & greet" turn. We will trade trains with a Lillooet crew at Potter and then run north back to our home terminal Williams Lake. About a 144 mile round trip.